Trees and wildlife can wreak havoc on your car. Don’t let sticky sap cake on—clean it off your car as soon as possible. Slather the sap with mayonnaise, and let it sink in for a few minutes. Then rub the mayo and sap off with a soft, clean cloth. Finish the job by washing the car. 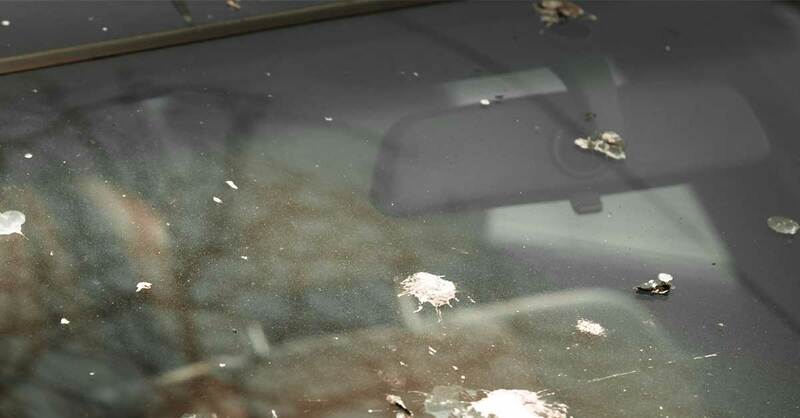 Bird droppings contain harsh acids that can burn through your car’s paint. The secret to cleaning up—and saving your car’s exterior—is to take action as soon as you spot the plop. Pour some seltzer or club soda on the droppings, and let it bubble up. Once the bubbling stops, wipe the area clean with soft, lint-free cloth.